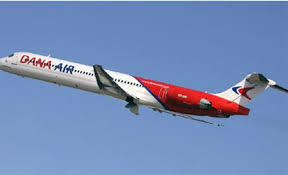 One of the indigenous airline, Dana Air, on Tuesday said it had recruited and trained not less than 45 Nigerian Pilots in Johannesburg, South Africa and Madrid, Spain so far. Mr Kingsley Ezenwa, the airline’s Media Communications Manager, stated this in a statement issued in Lagos. Ezenwa explained that this was part of the airline’s efforts towards contributing to the growth and development of the Nigerian aviation industry. He said the airline would continue to encourage professionalism in the industry and support its Nigerian Pilots to ensure consistent growth and development in the industry. “They are to attend to passengers with special needs, urgent complaints, update passengers on current promos and benefits of Dana Miles at airports in Lagos, Abuja, Port Harcourt, Uyo and Owerri,’’ he said. The airline’s Accountable Manager, Mr Obi Mbanuzuo said Dana Air was committed to the growth and development of the Nigerian aviation industry through the training and re-training of its personnel. “As at 2015, more than 500 Nigerian pilots were unemployed but with our recruitment and frequent training both locally and abroad since 2015, we have been able to reduce the number, by engaging these pilots and paying for their training in South Africa and Spain,’’ he said. On the newly introduced Special Services Unit, Mbanuzuo said the airline introduced the unit to further deepen customer service, offer multiple issue-solving options and provide seamless travel experience for our teeming guests. “Only recently, we won World Stage Economic Summit’s Nigerian Airline of the Year award for being inventive with our customer service and products. “Therefore, there is need to keep raising the bar of service excellence, so we do not let down our guests who keep nominating Dana Air for awards,’’ he said. The News Agency of Nigeria (NAN) reports that the airline, having flown over 2.7 million passengers in the last eight years, is one of Nigeria’s leading airlines with over 27 daily flights from Lagos to Abuja, Port Harcourt, Uyo and Owerri.